The adult stage of these pests looks like a giant mosquito with a wing span of more than an inch. 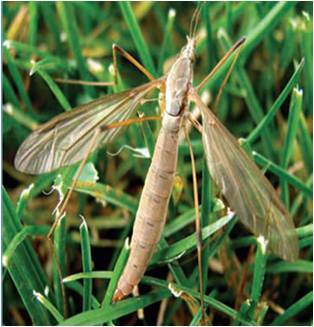 Adults emerge in August and September and may be seen in or near infested lawns in large numbers. They prefer moist soils, so are most likely to be found in irrigated turf, although most years we have enough rain for them to develop in almost any lawn. The adults fly, mate and lay eggs in August and September. The larvae, called “leatherjackets,” grow to become nearly an inch-long and look like a brown caterpillar with no head or legs. 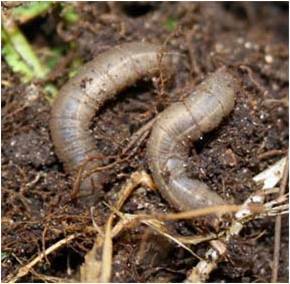 In October, the leatherjackets consume enough turf roots, stems and leaves to cause visible injury to lawns or golf courses. Turf damage begins to appear as a general thinning of the infested turf, but may progress to large dead patches. 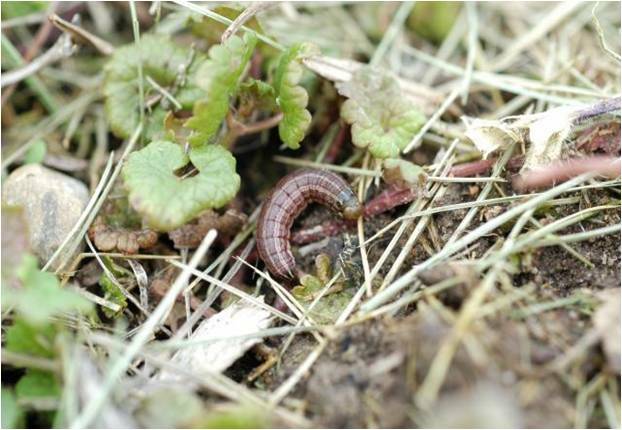 Nearly mature larvae (caterpillars) overwinter in the soil and resume feeding in the spring (late April-early May) as temperatures begin to rise. Occasionally, damage will occur in the spring from overwintered webworms. Adults begin to emerge in late May and early June and can be seen flying across lawn at dusk or just after dusk. Adult moths rest during the day in deep grass, ground cover, or in shrubbery. Females may drop up to 200 eggs in the grass while they are flying. Eggs hatch in 5 to 10 days and the young larvae begin feeding in the soft areas between the veins of grass blades. After a short time the larvae become large enough to consume small portions of the grass blade so that the damaged leaves may appear notched. Later, the mature larvae construct silk-lined burrows in the thatch and begin to chew grass blades off just above the thatch line and pull them into their tunnels to consume. Pupation takes place in late June to early July and second generation adults are usually observed shortly afterward.